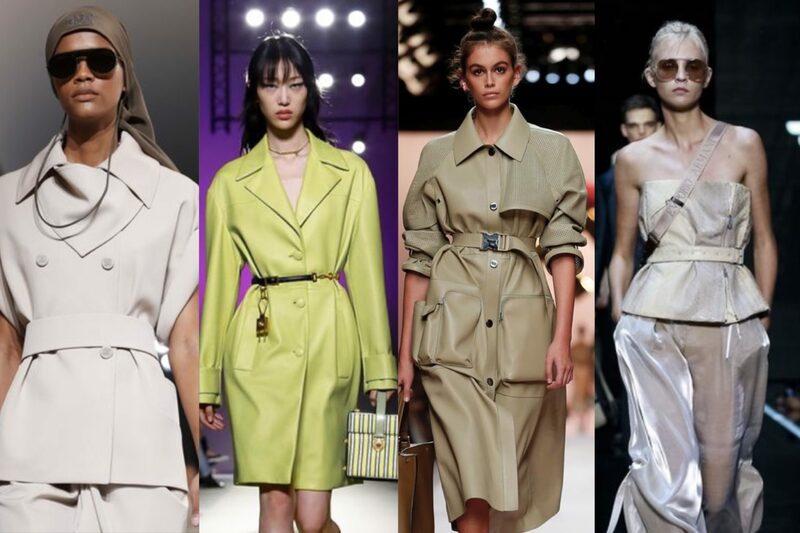 There are few male designers who know what women want. 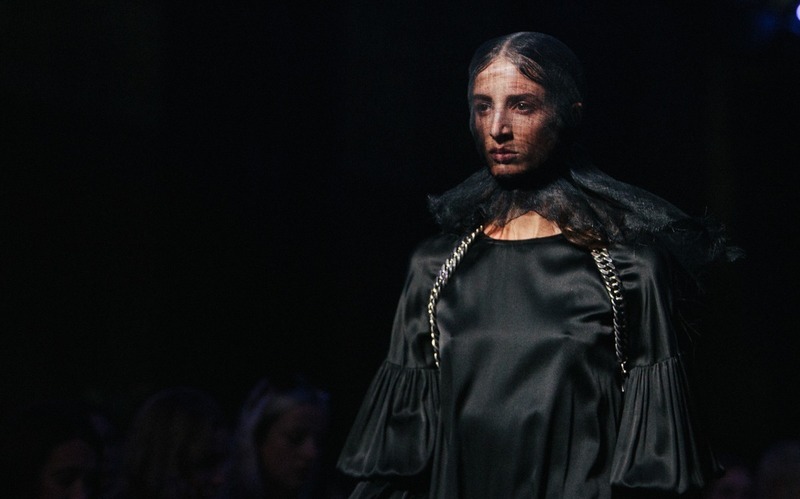 The Ann Demeulemeester woman, for example, is one that is elusive, hidden, but knows her strengths in the way she dresses – it’s a subtle, but very powerful force to be reckoned with. 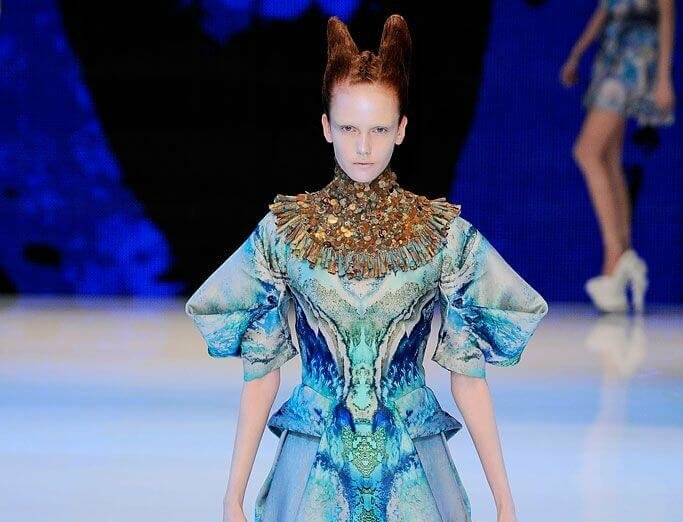 Sébastien Meunier attested to her strengths to showcase a collection that was otherworldly, to say the least. For S/S 2019, Meunier took, perhaps a dark turn to his inspiration, stating backstage that Inconnue – I’Inconnue de la Seine – was something he was obsessed with and wanted to portray in lieu of fashion. Of art. Translated to the Unknown Woman of the Seine, the story goes that a young woman was found by the river Seine with a mask covering her. She was described as being so eerily beautiful that she became the muse for artists and writers. A pathologist at the morgue where she was held was so fixated on her beauty that he made a wax cast of her face. The smile she had, compared to the likes of Mona Lisa, became such a buzz that over the years, copies of this cast was produced and people became fashionably obsessed. For lack of understanding, there was something truly poetic about the story, and Meunier utilised it into his own interpretation of this season’s show – easily noted by the way the models were covered with sheer veils that barely sculpted out their faces and expressions. Meunier took obvious elements from his previous menswear collection, a continuation of his Symbolist movement an theme. Taking into account of it being womenswear, he took to focus with stunning shades to the very simple palette of rose and dusty pink and very free form silhouettes – reflective of the menswear collection and an ode to androgyny. Appliquéd flowers on lapels of coats and flowing dresses wrapped with harnesses accentuated the style that Demeulemeester has always been known for and created an air of mystery and beauty. It was almost ghastly, but lusciously so. There was an injection of romance in the genderless clothes, juxtaposed with materials of silk and leather, black and pink, freedom and constriction. A mixture of poor and rich, a reflective of the 19th century era when artists revelled against the industrial revolution – take for instance, the loose and oversized blouse, held down by buckles and tailored bottoms. In addition to the muted colour palette, there was the occasion striped look, underlined with lace or silk. There was very little accessory to it – the main focus being what was being worn, not what could be used. Of the collection and inspiration, Meunier said, “The [Demeulemeester] look has always been linked to my tastes and story – it’s something very personal. We don’t know anything about her [Inconnue], so we can dream up things and transpose them into our own interpretations.” Much like Rilke and Nabokov, who interpreted her to their own strengths in the arts, so too did Meunier transform this mystery lady into what the Demeulemeester woman could be. Mystery, subtle, but so overwhelmingly beautiful that it could kill.